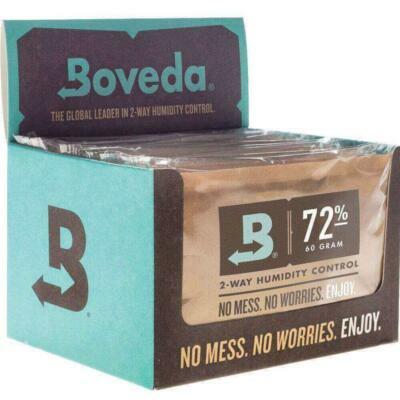 Boveda guarantees a constant level of humidity that never fluctuates or cycles. They also eliminates the conditions that allow for the growth of bacteria, mold or mildew. You will never have to use distilled water sponges, tortilla, bread, lettuce for re-hydration of your herbs or cigars. 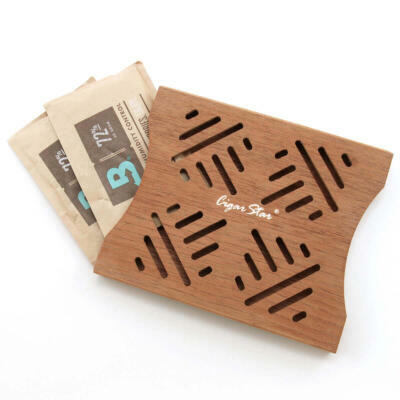 You receive (1) mini 8 gram Boveda mini humidity packs. 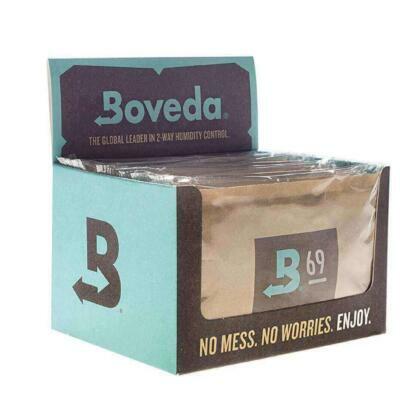 PLEASE NOTE: The Medium (8 gram) Boveda pack measures 6.35 cm tall x 6.985 cm wide. 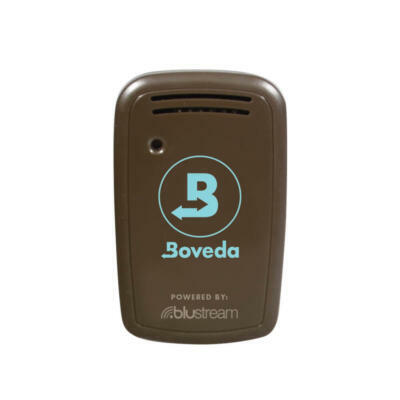 It is the smaller version of the large Boveda 60 gram humidity pack. “The World’s First 2-way Humidity Control for Cigar Humidors or Travel Humidors” are the perfect solution for 1 to 5 cigars during your travel situation, or several cigars for a short duration. 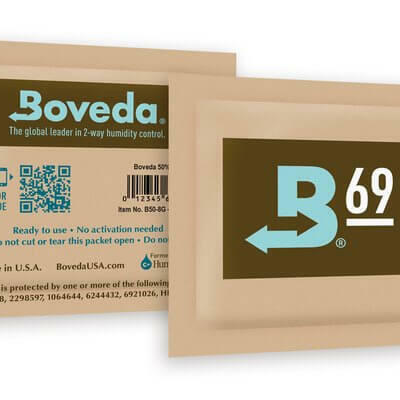 Boveda Humidity Packs are a revolutionary 2-way humidity control product that will maintain your humidor within +/- 2.5% RH. Which humidity level you desire are a personal preference. While most people enjoy their cigars at or around 70% some may enjoy a little dryer, some enjoy them with a bit higher humidity level, such as 75%. 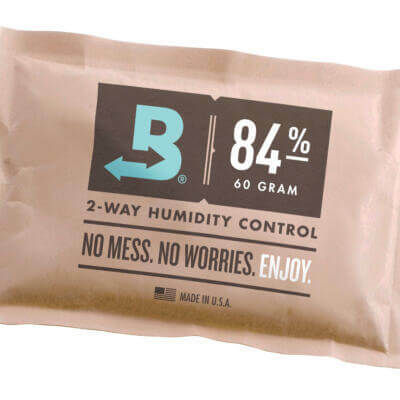 These small Boveda Humidity Packs come in 3 different humidity levels. We carry 69% and 72% 8 gram packs. Something to keep in mind, Boveda Humidity Packs are bi-lateral, they actually remove moisture from a humidor that is above the humidity pack and then maintain the relative humidity that you choose. NEVER GUESS AGAIN IF OR WHEN YOU NEED TO REFILL YOUR CIGAR HUMIDIFIER! 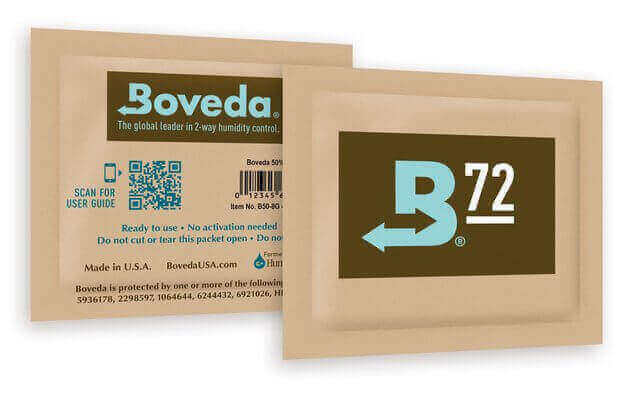 Simply place Boveda packets inside your humidor or travel humidor to maintain a precise 72% relative humidity. 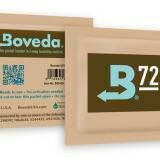 Each Boveda packet consists of a specially prepared saturated solution of pure water and natural salt. This makes a great gift for all the cigar and medicinal herb fans in your life. Boveda’s 2-way humidity control is the only technology that can be pre-formulated to a specific humidity level with an accuracy of +/-2%.